This column is adapted from the current issue of Truth and Consequces, Michael A. Cohenâs weekly online newsletter. To subscribe, click here. Fifty years ago this week, American politics and US foreign policy were forever changed. 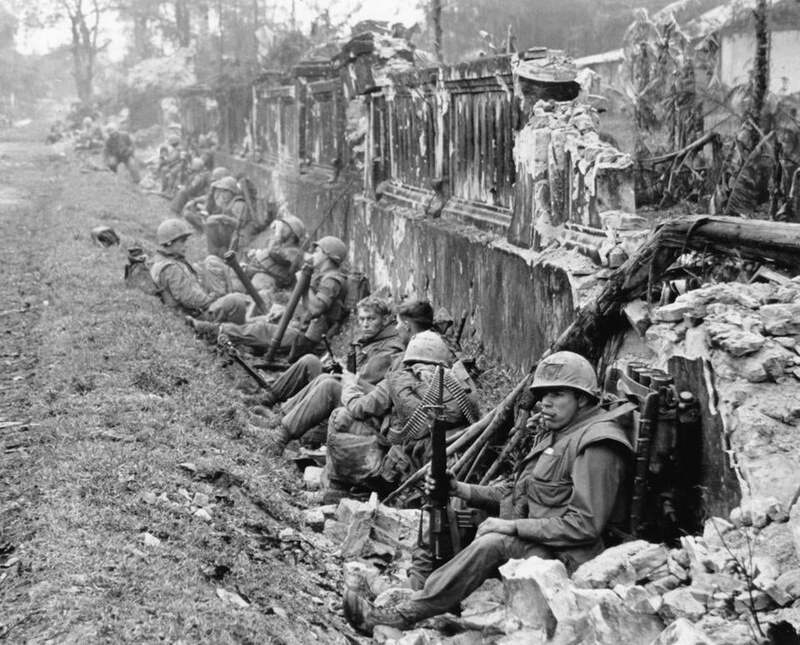 On Jan. 31, 1968, the North Vietnamese Army, along with Vietcong forces in South Vietnam, launched the surprise Tet Offensive. Within 24 hours of the attack, 36 of South Vietnamâs 44 provincial capitals had been hit, the Communists captured the imperial city of Hue, which led to horrific civilian massacres, and, in Saigon, Vietcong guerillas briefly overran the US embassy. Two a half years after President Johnson sent the first American combat troop s to Vietnam, Tet shattered the two most powerful illusions about the war: No longer was it possible to argue that the United States was making progress in Vietnam or that a military victory was within sight. Tet would deliver a particularly crushing blow to the Johnson Administrationâs credibility. In the weeks and months leading up to the offensive, the White House had begun a full-scale public relations effort (dubbed the âSuccess Offensiveâ) to convince Americans that the United States was winning in Vietnam. Tet showed that none of this was true. Indeed, by early 1968, the war stood at stalemate, which is one of the reasons the North Vietnamese launched the offensive in the first place. Ironically, for the North Vietnamese, the attack would turn out to be a military disaster. By some estimates, the Communists suffered 60,000 casualties. While American losses were not as severe, in the month after Tet, nearly 2,300 US troops would die in Vietnam, making it by far the bloodiest month of the war. The rest of 1968 would continue on the same tragic trajectory. In all, nearly 17,000 American soldiers would be killed in Vietnam that year. As a political weapon, however, Tet fundamentally transformed the conflict. Americans were buffeted by the shocking news coverage from Vietnam: pictures of dead guerrillas on the grounds of the US embassy, wounded Marines, bloodied and bandaged, being evacuated from Hue, and a Vietcong prisoner executed on the stre ets of Saigon. Americans now understood that the president, his aides, and the military leadership had been lying to them about Vietnam. Public support for the war, already in decline, fell even further. Eugene McCarthyâs insurgent campaign for the Democratic nomination for president gathered steam. He scored a near-upset win over LBJ in the New Hampshire primary, which led Robert F. Kennedy to throw his hat into the race. Two weeks later, Johnson stunned the nation when he announced that he would not seek reelection. Tet would also come to represent a true before-and-after moment for the country. Watergate is often seen as the crucial political event that alienated a broad cross section Americans from the federal government. But Vietnam, and more specifically Tet, played an outsized role in eroding the confidence that Americans had in their elected leaders. Of course, it wasnât just the establishment. Americans had for two decades â" since the end of World War II â" supported an aggressive and militarized anti-Communist foreign policy. After Tet, that would no longer be the case. In his inaugural address in 1965, Lyndon Johnson said, âIf American lives must end, and American treasure be spilled, in countries that we barely know, then that is the price that change has demanded of conviction and of our enduring covenant.â Itâs simply extraordinary to imagine that a US president ever used words like this, particularly in subtle reference to such a disreputable conflict as the war in Vietnam. It is emblematic of the widely held view in the mid-1960s that America had a unique and necessary role to play in preventing the spread of Communism. That belief â" which was held by both political parties and went largely unquestioned â" is a good part of the reason that the United States became involved in Vietnam in the first place. Itâs also the reason that the war enjoyed such initial broad public support. Tet would help to shatter that consensus. Post-Vietnam, a newfound skepticism came to define popular opinion about overseas military engagements and the supposed obligation to confront Communist expansion around the world. Tet emboldened the peace wing of the Democratic Party, not just in spurring McCarthy to success in New Hampshire, but in pushing antiwar activists to place new demands on their party leaders. For the next three decades, until the terrorist attacks on 9/11, policy makers would grapple with the so-called Vietnam Syndrome and struggle to justify major foreign policy engagements that werenât limited and had clear political objectives. Today, Tet is reminder that the reality of war â" and the unintended consequences of US military engagement â" will eventually overwhelm the confident predictions of government officials. And though Americans failed to heed that reminder in Iraq until it was too late, at a time when the drumbeats of war can be heard emanating from the Korean peninsula, itâs something we should all remember when the president, be it Trump or someone else, tells us that any war of choice is worth fighting.